Shop and save at the Lebanon ReStore. A good deal for you, your community, and the environment! The Lebanon ReStore is a 501c3 nonprofit retail and donation center that sells new and gently used items. All items in the store are donated by local businesses and individuals and sold at a fraction of the cost of retail stores. All proceeds of sales go toward building safe, decent and affordable homes for low income families in our community. Whether you are a do-it-yourselfer, homeowner, renter, landlord, contractor, or treasure hunter, make Habitat for Humanity ReStore your first stop when shopping for your home or next renovation project. The prices are great and you never know what you will find! Our ReStore success is made possible by volunteers like you! Volunteers serve a vital role in helping the ReStore achieve its mission. We are truly thankful for everyone who has helped us along the way. We can find valuable work for nearly all skill levels. If you have the compassion and dedication to improve your community, we'd love to hear from you. 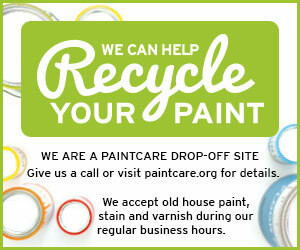 There are a variety of ways community members can engage with the ReStore. If you have a specific skill set that you feel could benefit our mission, we’d love to hear from you! Learn how you can help today. Sign up to receive news and updates on our latest projects.